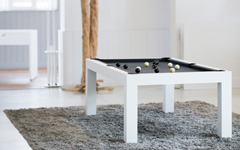 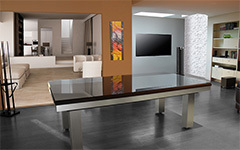 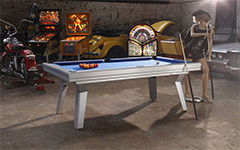 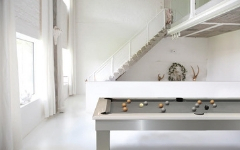 The billiard tables in the Design range have modern design and perfect playability. 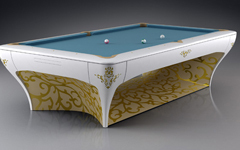 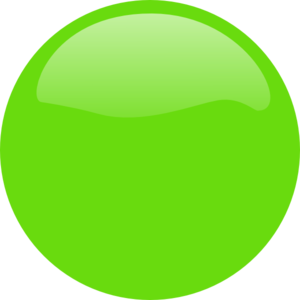 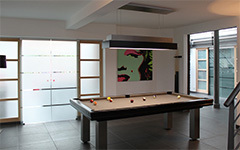 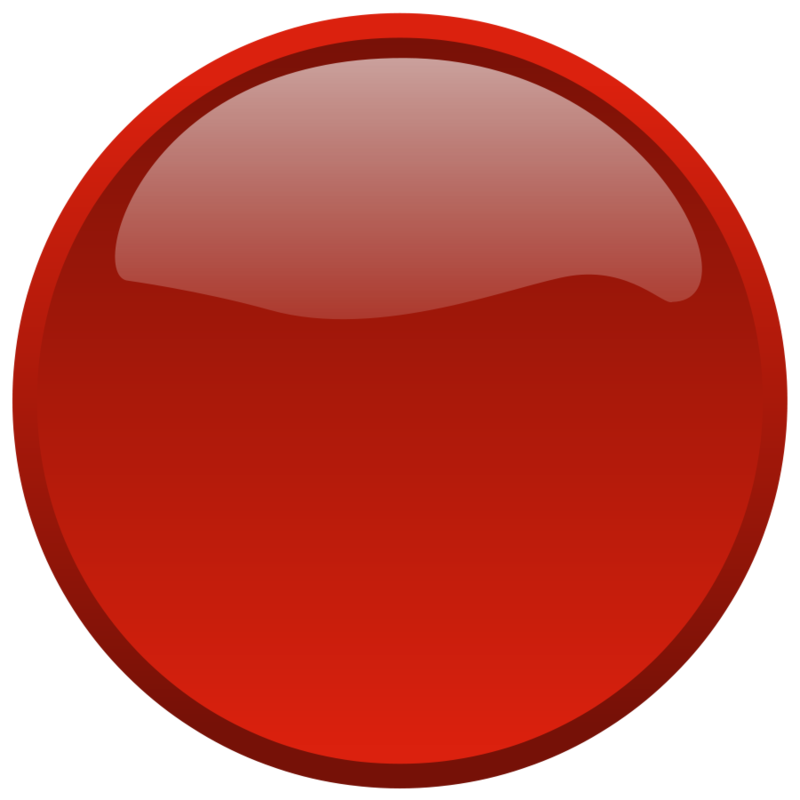 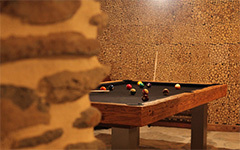 Design Billiards will give you more than the pleasure of playing. 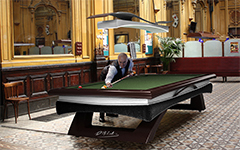 For example, BlackLight billiard tables are available with options never before seen in a billiard table !